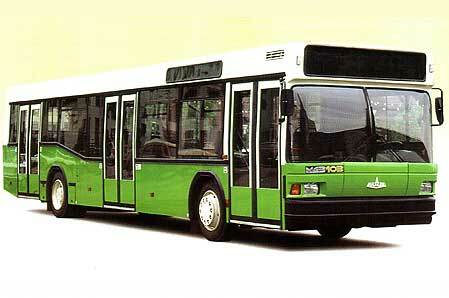 MAZ-152 is a bus of new generation meeting the European standards and requirements of modern international transportations. MAZ-152 is a comfortable long-distance bus for public conveyance, equipped with YaMZ power unit meeting EURO-2 requirements. Soft armchairs designed in view of human anatomic features are installed in the interior. All passenger armchairs have adjustable folding backrests, at the same time internal seats can be moved aside for a greater convenience. Each passenger seat is equipped with individual illumination and diffuser from the air conditioner.MAZ-152A tourist bus is designed for long distance trips and in addition to all advantages MAZ-152 is completed with diesel engines Daimler Chrysler OM441LA, OM501LA, MAN. At the customer´s request the bus can be equipped with an air conditioner, bio-toilet, refrigerator, mini-kitchen, microwave oven, audio- and video-systems etc. The buses are equipped with a big baggage compartment which is under interior. The floor height above road level holds the passengers away from unwanted soundss and makes a trip pleasant. Passenger capacity - 47 persons. The concept of this bus was created taking into account intrests of all categories of passengers, including children, older and disabled persons with limited movement capability. A low floor level provides convenience in ingress and egress. 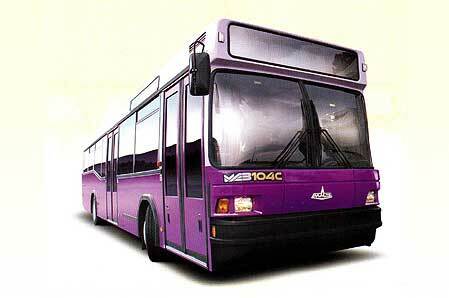 MAZ-103C modification of MAZ-103 low floor model, is designed for operation on suburban routes. The bus differs by interior, quantity of seats and abscence of a rear door that corresponds to specificity of its operation. The floor level in the given model is higher than in MAZ-103, there are two small steps at the entrance. There is no tunnel of the engine compartment in the bus interior. YaMZ engine is located longitudinally in the bus rear overhang with the radiators black at the left of the engine. 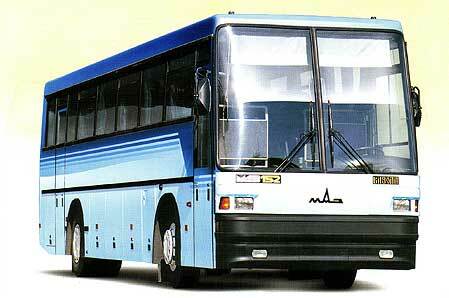 MAZ-104C suburban bus is unified in interior, abscence of rear door and also in transmission gear-ratio. Passenger capacity - 100 persons. 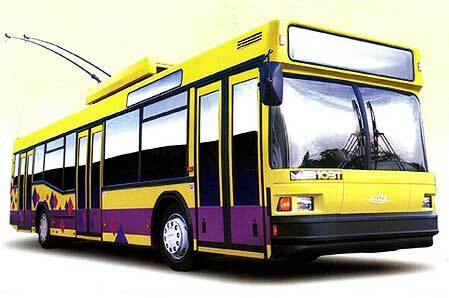 Bus MAZ-107 it is increased passenger capacity (150 persons) and good technical characteristics at a quite moderate price. Three-axle bus takes a medium position between buses MAZ-103 and articulated bus MAZ-105 by dimensions (up to 15 meters) and passenger capacity. 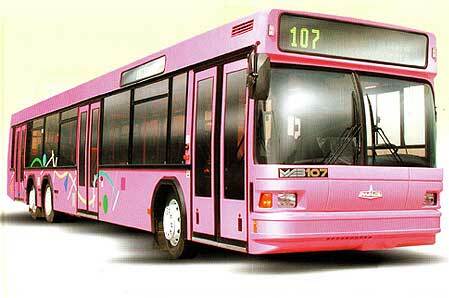 MAZ-103T trolley bus body is unified with the low-floor bus MAZ-103 providing ease of maintenance and repair. Thyristor-pulse system or system on IGBT transistors installed on MAZ-103T with microprocessor control of the engine provides smooth breakaway and running. Electro-dynamic regenerative-rheostatic braking by the traction engine allows to save electric power while braking, and double-circuit pneumatic braking systems with ABS allows to increase active afety. Passenger capcity - 100 persons.